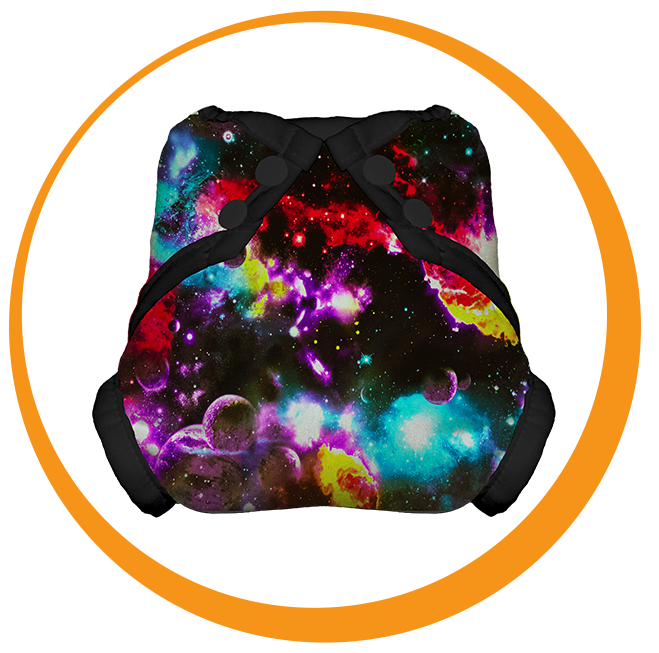 Our cute and comfy PUL covers are the perfect mix of style, fit, and function. 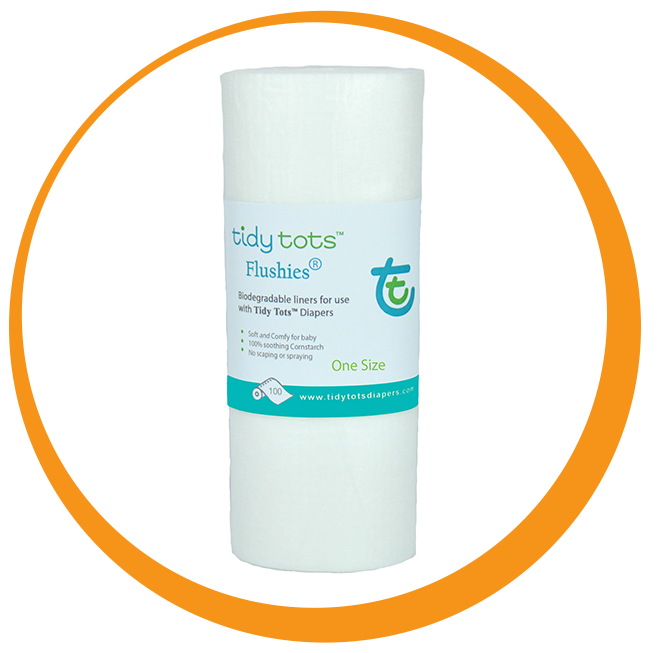 Made in the United States, Tidy Tots® patented features, workmanship, and high grade materials provide an unmatched and leak free experience. The design allows parents the luxury of using Tidy Tots covers multiple times before washing. Our No Fold Diaper and boosters are made of a 100% organic blended hemp to offer super absorbency, plus snuggly softness to boot. Hemp is anti -microbial which naturally prevents bacteria growth, so diaper rash is a thing of the past. Our patented No Fold Diaper snaps right into our covers for a secure, comfy, no-leak fit. 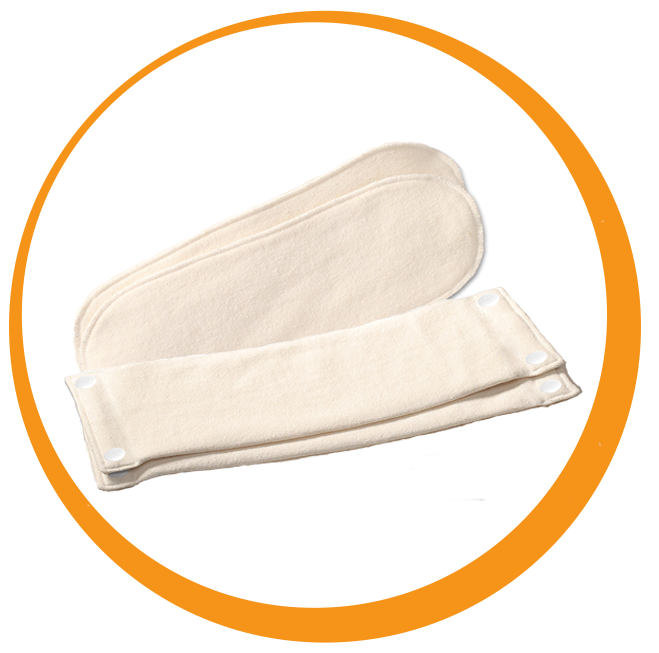 The boosters offer extra protection for heavy wetters and they simply slip into the No Fold Diaper. Flushies snap onto the No Fold Diaper, making the liner totally secure, even with an active baby. At changing time, simply gather up and flush. No ick, no scraping, no spraying, no kidding. The No Fold Diaper remains free of solids so no more smelly diaper pails. And Flushies are made of gentle, soothing cornstarch. The liners work together with the hemp to ensure no more diaper rash. Our One Size cover is designed to fit most babies. Because of the tabs our Hook & Loop covers can fit larger babies.